Last night, Zenith’s Melbourne showroom hosted an exclusive celebration for the launch of its Allermuir Haven collection. The focus of the evening, Zenith’s ‘Sound at Work’ acoustic management concept, was certainly put to the test with a live band pumping up the atmosphere. The tactile workstations in the Allermuir range were repurposed for the convivial event, serving as social booths populated over the course of the night by key personalities from the design and architecture industry. 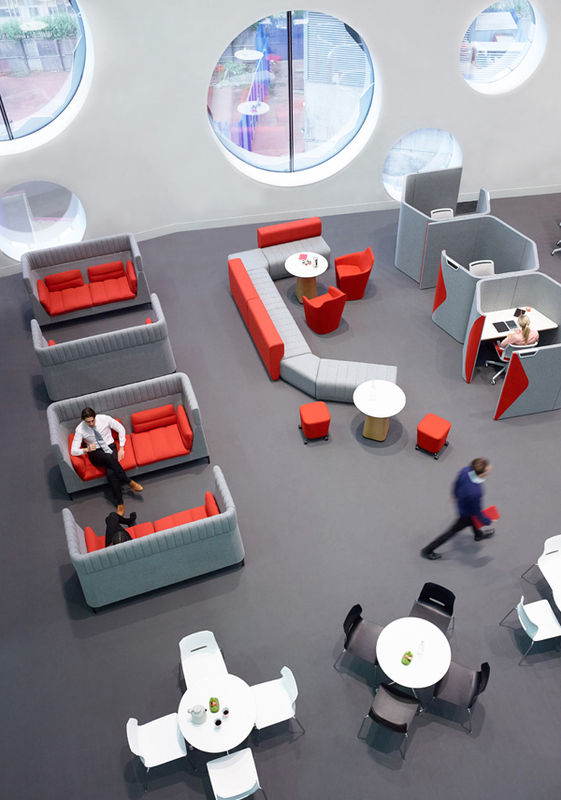 The modular workstations form the basis of Zenith’s ‘Sound at Work’ concept, offering a variety of solutions for effective sound management within open plan offices. 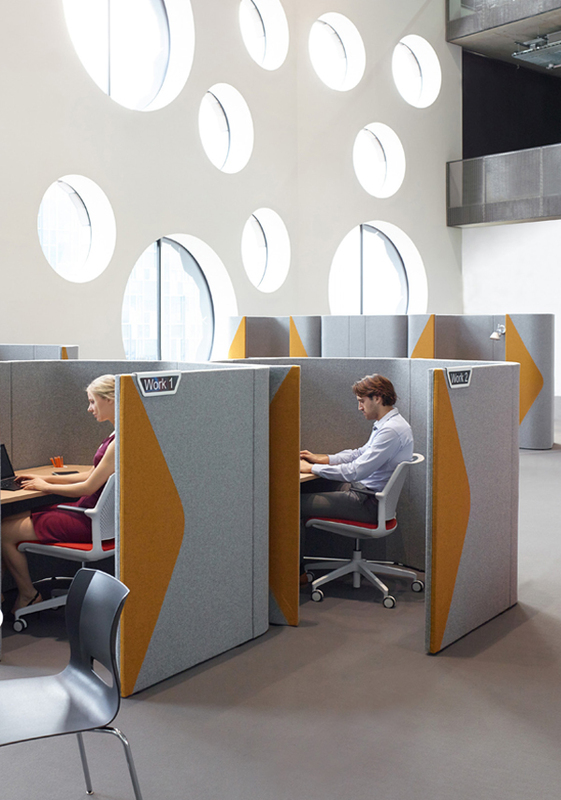 The range of Haven Pods includes curved partitions clad in acoustic felt fabric, which can be arranged in various configurations to suit singular or multiple workspaces, with larger pods able to accommodate team meetings. The Solo option in the range reflects current workplace trends – particularly with the rise of ‘hot-desking’, more individuals are seeking quiet, informal nooks to use a laptop in place of the traditional static desk set up. 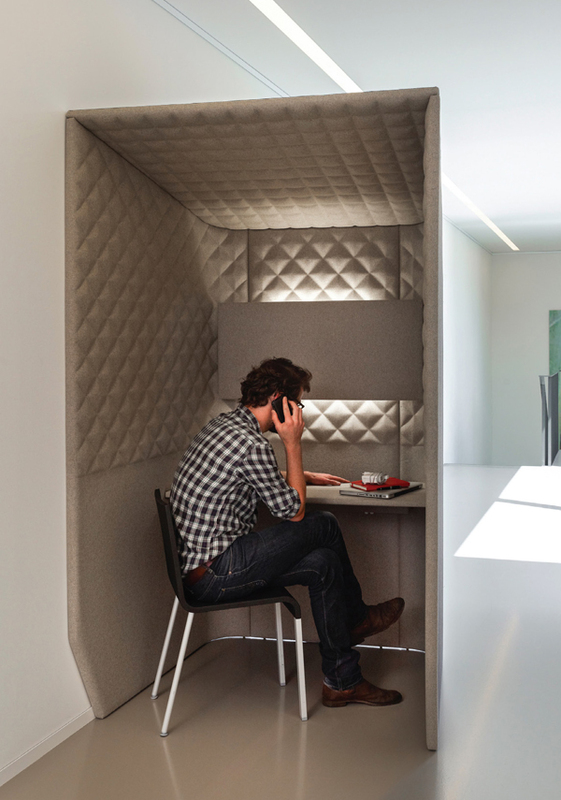 Haven Pods provide the opportunity for offices to remain mobile, and as they are easily dismantled and reconfigured, offices are given the flexibility to continuously redefine their productive spaces to cater for changing staff needs. Available in two heights (1400mm and 1800mm), the system affords an amount of privacy in sprawling offices, while fostering focussed collaboration and conversation in the work place. The pods come in a range of inviting, on-trend colours while still remaining suitably understated, to complement contemporary office designs. With the launch of its most recent collection, Zenith continues to provide innovative designer solutions for modern Australian work places. For more information, visit Zenith.